The mother of the 3-year-old girl found stabbed to death in an SUV at Point Woronzof in West Anchorage early Wednesday has been charged in the girl’s death. Kelsey Jackson, 24, was arrested Thursday on charges of first- and second-degree murder in the death of her 3-year-old daughter. 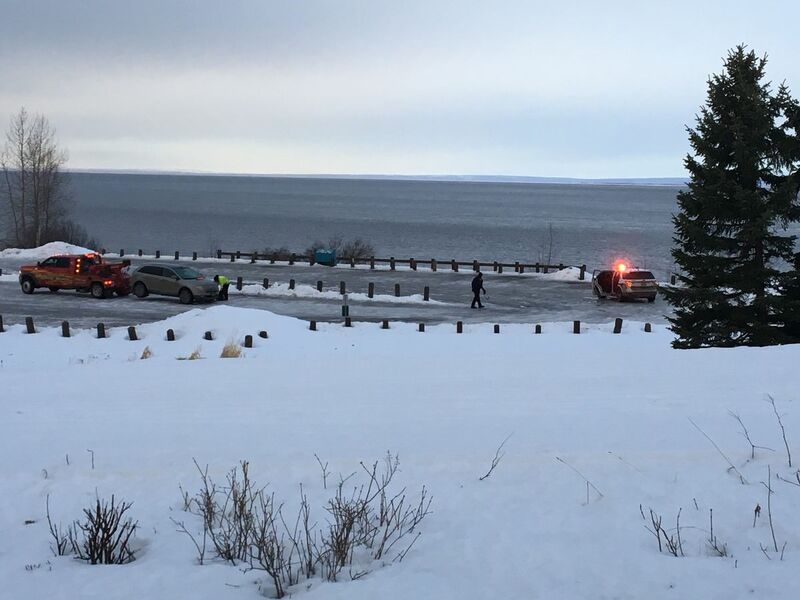 Airport police found Jackson, who had wounds that appeared to be self-inflicted, with her daughter’s body inside a Ford Edge parked at the Cook Inlet overlook around 5:30 a.m. Wednesday. The girl, whose name has not been released, had been stabbed multiple times. She was found in the back seat of the SUV strapped into her car seat, according to the charges. She would have celebrated her fourth birthday next month, APD spokesman MJ Thim said. Jackson had multiple wounds as well, and officers found a knife under the driver’s seat, the charges say. Police believe Jackson stabbed the toddler and then intentionally injured herself, Thim said, though detectives were still investigating whether her injuries were the result of an attempted suicide. Jackson told police that she “did it” and that no one else was involved in the killing, but wouldn’t make a detailed statement to detectives, according to the charging document. She was taken to the hospital Wednesday morning with “cuts to her arms consistent with a suicide attempt,” according to the charges. She had also encountered police during previous suicide attempts, the document said. She was taken to the Anchorage Correctional Complex on Thursday after being released from the hospital, Thim said. Jackson, whose most recent address is listed as being in Anchorage’s Fairview neighborhood, has no prior felonies. Court records show that Jackson’s father, Shane Hedrick, petitioned for a protective order against her, along with temporary custody of her daughter — his granddaughter — after a domestic violence incident last September. According to the petition, Jackson had displayed “strange behavior” and vandalized items in a house she shared with her father, including a door, wall, television and laptop computer. Jackson was arrested in that incident, according to the petition, but the Anchorage district attorney’s office didn’t prosecute the case. Hedrick also requested that Jackson receive mental health treatment and asked that she not use or possess a deadly weapon, according to the petition. A judge granted a short-term protective order, which expired in October. Hedrick had also petitioned for a long-term protective order, but it was denied because he didn’t appear at the hearing, court records show. A spokesman for the state health department, which houses the Office of Children’s Services, said the agency can’t confirm or deny whether Jackson had ever had a child welfare case opened because that information is confidential by law.